Or view larger version. First Braceros. ca. 1942. Dorothea Lange, photographer. Gelatin silver print. Collection of Oakland Museum of California. Gift of Paul S. Taylor. 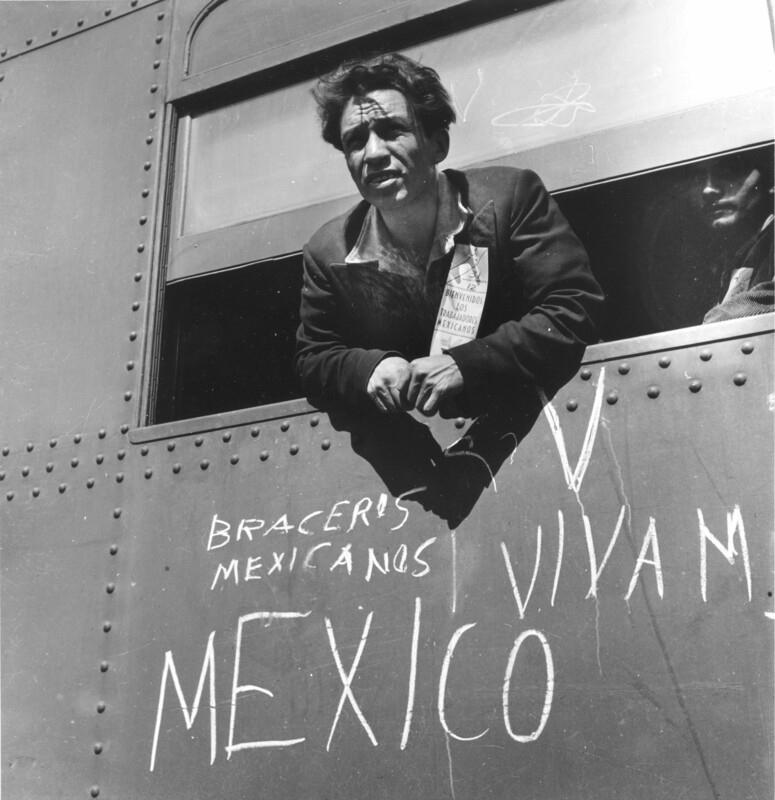 A Mexican worker is seen arriving in the U.S. during the early days of the Bracero program in this 1942 photograph by preeminent California documentary photographer Dorothea Lange.